Foreign investment in Vietnam has grown substantially in recent years. This growth began in the 1980s with the Doi Moi reforms and picked up again in 2007 with the country’s entry into the WTO, which reduced trade barriers to entry for foreign investors. Investors have a number of options for entry into the Vietnamese market. 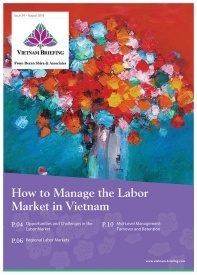 Vietnam’s Law on Enterprise and Law on Investment implemented in 2015, define all market entry options. We have outlined the most common forms of market entry for foreign investors, touching on the requirements, time frame for the establishment and best structure suited for each mode of investment. Vietnam’s Ministry of Planning and Investment (MPI) does not currently specify required capital for representative offices. While the MPI does not impose specified capital requirements, companies will be required to show that their capital contributions are sufficient to fund the activities of their operations. As a result, potential investors should prepare to commit a minimum of US$ 10,000 to fund their operations. Representative offices can be set up in between six to eight weeks. Given the absence of in-country revenue and associated licensing requirements, the setup process for this option does not entail as many bureaucratic procedures as others. Representative offices do not face the level of compliance requirements levied upon fully established enterprises by the Ministry of Planning and Investment. Further, companies are not subject to corporate income tax or compliance under a representative office structure. 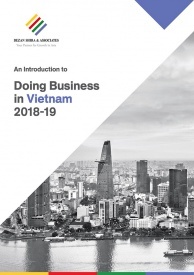 Limited liability Companies (LLC) in Vietnam are the most common form of investment for foreign investors due to their reduced liability and capital requirements. LLCs can be broken down into single member LLCs where there will only be one owner, and multiple member LLCs, where there will be more than one stakeholder. These owners can be private individuals or companies, depending on the requirements of a given investor. 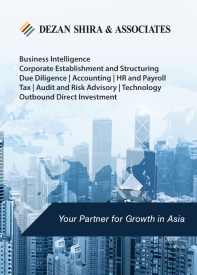 Other options for investment include branch offices, which are often overlooked by investors due to the liability extending to the parent company, and joint-stock companies, which have relatively high capital requirements and are best suited for investors seeking to list on a Vietnamese exchange. The setup time for a 100% Foreign Owned Enterprise (FOE) ranges between two to four months on average. Investments made in the manufacturing sector usually stay between two and three months while service oriented investments can take up to four months to set up. FOE structure should be sufficient for the majority of businesses. In addition to profit generation, 100 percent FOEs allow foreign investors to maintain full control of their Vietnamese entity while limiting their liability to the capital of the Vietnamese entity. While 100 percent FOEs can be an effective market entry strategy, they can inhibit investment into certain conditional sectors that impose foreign ownership ceilings. Furthermore, the FOE model leaves the development of sales and marketing networks exclusively to the foreign enterprise. Investors involved in the sale and distribution on consumer goods, in particular, should carefully consider options before diving into the Vietnamese market. Joint ventures (JVs) entail the partnership of companies or individuals for a specific business purpose. 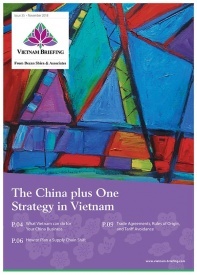 JVs are not a unique corporate structuring option; partners usually establish an LLC for standard JVs and a Joint Stock Company (JSC) if the there is a desire to list on Vietnam’s stock exchanges. For investors purchasing stakes in state owned enterprises being equitized on Vietnam’s exchanges, the JSC structured will be required by default. When entering the Vietnamese market, foreign investors can choose to enter into joint ventures as a majority (ownership >50 percent) or minority (ownership <50 percent) stakeholder. The capital requirements for JVs are the same as for 100 percent FOEs. 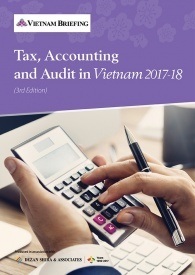 Unconditional sectors are not subject to specified capital requirements; however, Vietnam’s Ministry of Planning and Investment does apply industry specific capital requirements in many cases. The percentage of ownership, and thus the amount of capital contributed, is the more important metric to use when evaluating the capital requirements for JVs in Vietnam. At present, statutory guidelines impose a foreign contribution floor of 30 percent for JVs, as well as a ceiling in specific conditional sectors. The government also mandates minimum contributions for domestic investors on an industry specific basis. The setup time for JVs is two to four months and is the same 100 percent FOE investment in terms of processing. However, this does not include the lead-time needed to negotiate an agreement between JV stakeholders. Negotiations over stakes, leadership, and structure of stakeholder obligations can prolong the amount of lead-time needed to initiate the standard establishment process. Although negotiations can often delay setup, they are integral to a successful JV and should not be rushed. The primary benefit of a JV lies in its ability to grant an investor unprecedented access to the market. Investors will gain access to conditional sectors, which often impose ownership restrictions. The extent of the investor’s access to conditional sectors depends on its business lines. The second potential benefit of a JV lies in the knowledge of the local company. For foreign investors entering into the market for the first time, local partners can provide greater access to suppliers, customers, and sometimes improve a foreign brand’s reputation within the domestic market. Foreign investors engaged in JVs cannot act with the same level of independence as other models. Decision making over issues such as expansion, remittance of profits, or winding up of operations can create significant divisions between foreign and local counterparts. While these issues can and should be settled during initial negotiations, differences in opinion and cultural barriers can often slow down the establishment process and lead to lowered maneuverability upon incorporation in Vietnam. Public Private Partnership (PPPs) entails a partnership between a foreign or domestic enterprise and the government for the completion of key infrastructure projects. Vietnamese authorities are aggressively pursuing PPPs for a variety of infrastructure projects as a means of filling gaps left by a reduced role of state owned enterprise, rising population, and increasing urbanization. Build-Transfer-Operate (BTO): after completing the project, the investor transfers ownership to the state. The government then grants the investor the right to operate that facility for a specified period to recover investment capital and earn a profit. Build-Transfer (BT): after completely building the facility, the investor transfers it to the state. The government will create conditions for the investor to implement other projects for recovering investment capital, earning profits, or will make payments to the investor as agreed in the BT contract. Build-Operate-Transfer (BOT): the investor builds and then operates an infrastructure facility for a specified period. Upon the expiration of this period, the investor transfers the facility to the state without compensation. Build-Own-Operate (BOO): after the building the facility, the investor shall own and have the right to operate the facility commercially for a fixed term. Build, Transfer, and Lease (BTL): after building the facility, the investor will transfer the facility to the authorized state agency and will have the right to provide services based on a commercial operation for a fixed term. 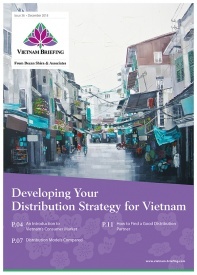 New market entrants should work closely with local advisors that are able to help identify which of the available options is best suited for their needs within the Vietnamese market. Interested parties should select an entry model that strikes a balance between their current objectives and long-term market interests.